FLINT, MI — The city says it won’t be forced to hydrovac despite the state’s threat to stop funding its service line replacement program. 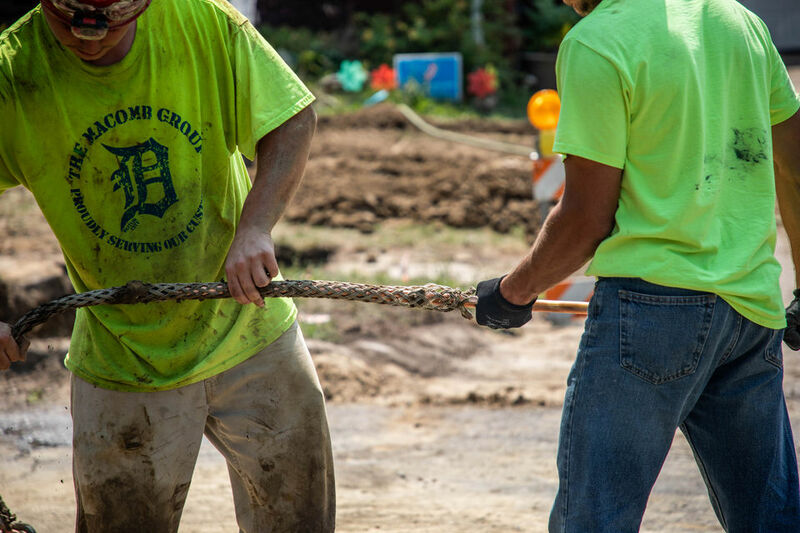 Flint Mayor Karen Weaver said in a Nov. 5 press release that the city is within its legal rights to continue its ban on hydrovacing, an alternative form to digging traditionally. In a Nov. 1 letter from the state Attorney General’s Office, Flint was told its FAST Start replacement program would not be reimbursed until what the state claims are violations to $97 million settlement are resolved. According to the letter, Flint is violating the settlement by its current excavation method and its failure to look for lead and galvanized water pipes. In 2017, a $97 million fund was set up by the state in a settlement to reimburse the city after social groups demanded enough funding to replace the estimated 18,000 hazardous lead and galvanized steel pipes in Flint. The price of digging up and burying a copper pipe increased from $77 to $1,800 after contractors were directed to dig 8- to 10-foot holes without a hydrovac, according to the attorney generals’ office letter. The letter states this, along with the city’s current method of finding lead, is in violation of the settlement’s agreement and could leave hundreds of hazardous pipes underground and in use. From 2016-17 the city used available information and a predictive model to find lead or galvanized pipes, which resulted in a 71 percent hit rate for finding hazardous pipes, according to the letter. The city’s current plan has dropped that hit rate to 20 percent this year. The computer model uses data from the historic water cards, a home’s age, value, GPS coordinates, Census data, the data from last year’s replacements and data from any water testing that occurred at a home, to predict if a home has hazardous pipes. The city stopped using the model because it has a 94 percent accuracy rate, Flint’s former service line replacement program manager, Alan Wong, previously said. The city wants 100 percent accuracy. Wong worked for AECOM, a Los Angeles-based engineering firm contracted for $5 million to oversee FAST Start program in December, 2017. A spokesperson for AECOM said Wong no longer works for the engineering firm and the company couldn’t comment on why. The city didn’t respond to questions about Wong no longer managing its FAST Start program. A hydrovac uses a high-pressure water and vacuum system to dig a hole. It’s a cost-effective tool Weaver banned contractors from using in June. The ban was made shortly after Weaver expressed concern at a June Flint Water Interagency Coordinating Committee meeting that a hydrovac might miss spliced lines. So far, contractors have found seven spliced lines. A spliced line is a lead or steel pipe that leaked and was patched using a “copper Band-Aid.” According to the city, the only way to be sure a spliced line isn’t missed is by digging 8- to 10-foot holes uncovering the pipe. The settlement requires several inches of a water pipeline to be exposed on either side of the curb stop to identify the material of the lines. Hydrovacing is just another means of digging that hole, it’s just less expensive. The letter also states the city has submitted several invoices for reimbursements that were incomplete, involve duplicate costs or are not covered under the settlement agreement. Communication of these concerns were made to Wong nearly daily, according to the letter. Wong, Flint program manager for AECOM, previously testified the city doesn’t prioritize which homes are assigned to water pipe replacement contractors. The city’s current method for finding hazardous pipes caused social groups in the settlement to seek a court order to enforce the settlement’s central agreement – prioritizing the removal of lead pipes. The court hasn’t ruled on the request. Factors like a list of homes with active water accounts, maps and historic water cards are used to assign 3,000 homes to each pipe-replacement contractor, Wong stated. Over 140,000 historic water cards were discovered two years ago and over 95,000 of them were digitized free of charge by Captricity, a paper-to-digital processing company. A statistical analysis submitted to the court shows this year’s method finds lead at a worse rate than randomly picking a home for the work. The current method’s 20 percent success rate for finding lead contrasts with last year’s success rate of 80 percent. Last year, FAST Start was able to replace about 6,200 hazardous water pipes and check over 8,000 homes. This was done by utilizing a computer model built by researchers to plan which homes had a higher risk of having lead pipes and should be checked first. The model estimates that more than half of the remaining 9,157 digs required by the settlement will uncover hazardous pipes. The letter states the city has until Nov. 15 to meet with state authorities to discuss the alleged violations.